L’Occitane En Provence is celebrating International Women’s Day by launching a limited edition shea butter solidarity balm. This year not only marks L’Occitaine’s 40th anniversary, but also their 30 years of collaboration with the Burkina Faso women who are responsible for producing the shea butter. 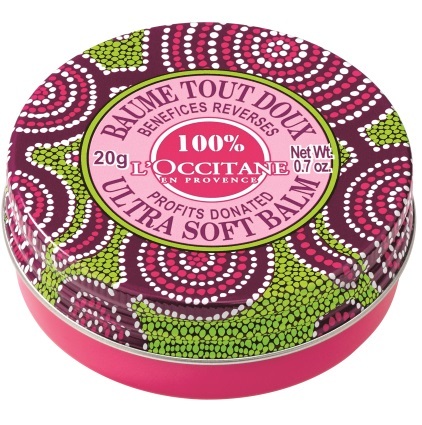 This year’s solidarity balm is mixed with shea butter and rose combined with motifs resembling African wax-print fabrics which are worn by Burkinabé women. The balm nourishes and protects the skin, suitable for lips, body and hair. The balm is currently available in stores and retails for $6. It will remain in stores past International Women’s Day (March 8). One hundred percent of the profits earned from the sale will support the NGO projects in Burkina Faso promoting women’s leadership. The brand has kept a goal of earning donations of $410,000 worldwide.